Meeting Roy Snell who is one of the world best printers it is a great pleasure! It was incredible to talk with him about how to work in darkroom. We have met in his house in Earsfield, London. Roy was interested what I know about photography and shared lots of information how we has been working over several years in his home. 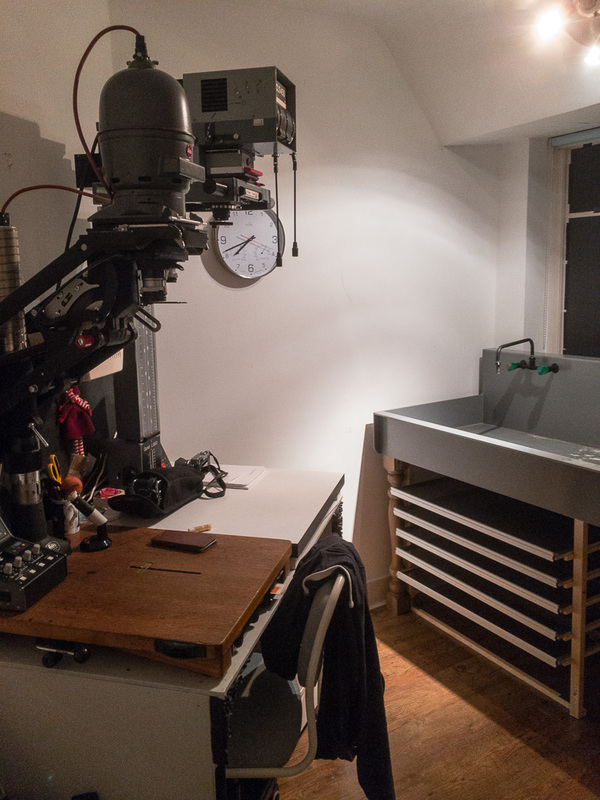 Roy showed me his darkroom and shared with me many tricks which helps to achieve great results. We were talking about printing itself, about darkroom lights, techniques (sepia, toning, pre-flashing) and many more. Roy was so kind and gave me many good advises which I have noted down immediately after coming home. I’ve done it to be sure that I haven’t missed or forgotten anything he said. I met his whole family, Janie Rayne which at present has an exhibition in Muse Gallery, 269 Portobello Road in London. I met also his son Aaron and daughter Zoë. It was a great pleasure to meet all of them and be part of their evening. The Guardian in 2011 published Richards Nicholson’s work and movie about disappearing London’s darkrooms, among which Roy’s darkroom seems to be the best and most artistic. Please have a look on Richard’s website London’s darkroom.